#BreaktheCliche with the DQ Singles Blizzard Treat. The DQ Red Velvet Spoon Case comes in a traditional jewelry box, covered in red velvet fabric that opens to reveal the iconic DQ Red Spoon resting on a white satiny pillow. The DQ Red Velvet Spoon Case is $4.99 plus shipping with all net proceeds for every spoon case sold online contributed to Children’s Miracle Network Hospitals, the DQ system’s cause-marketing partner. Fans can order the DQ Red Velvet Spoon Case at DQCollectibles.com while supplies last. MINNEAPOLIS--(BUSINESS WIRE)--Step aside, couples: Singles are redefining the most romantic day of the year. According to a national survey*, 50 percent of singles classify themselves as “Proud Singles” on Valentine’s Day and are ready to break the “Sad Single” cliché, yet only 24 percent of all singles treat themselves to a gift on the holiday. Single Americans now outnumber their married counterparts, according to the most recent data from the Bureau of Labor Statistics. The Dairy Queen® system, a Berkshire Hathaway (NYSE: BRK.A and BRK.B) company, refuses to leave its single fans in the dust on Valentine’s Day. 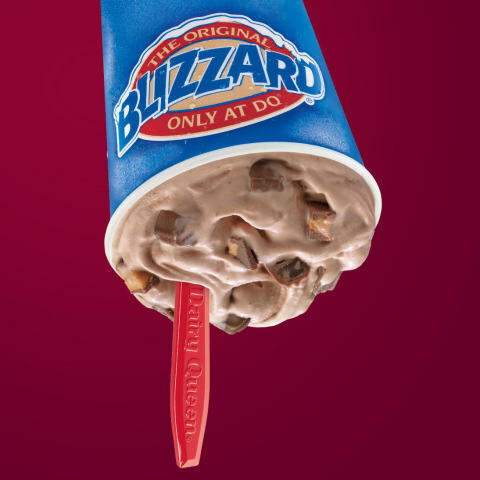 Instead, the DQ brand is giving them a reason to celebrate with the new Singles Blizzard Treat. The first-ever treat to serve as a rally cry for a relationship status, the Singles Blizzard Treat features salted caramel truffles, Reese’s® Peanut Butter Cups and peanut butter topping blended with signature DQ soft serve. 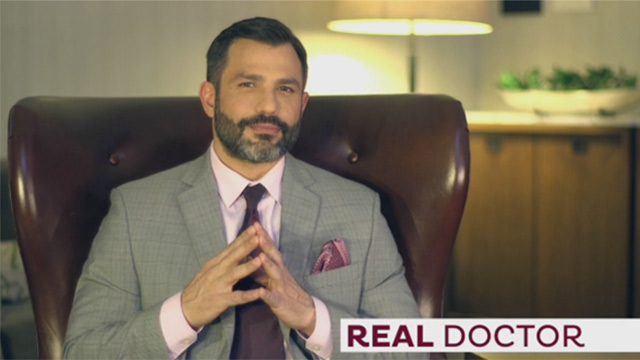 This year, the DQ brand partnered with Dr. Joseph Cilona, licensed clinical psychologist, personal and executive coach and author, on a national survey of singles and couples to shed light on singles behavior, Valentine’s Day clichés and gift-giving originality. Fans can #BreaktheCliche of unoriginal Valentine’s Day gifts with the DQ system whether they’re single or off the market. In fact, 92 percent of couples celebrate Valentine’s Day. To offer a solution for pairs eyeing a unique and romantic treat, the DQ Red Velvet Blizzard Cupid Cake includes creamy vanilla soft serve blended with red velvet cake pieces and cream cheese frosting. Starting at $9.99, it’s made for sharing, and custom messages of love can be added to the cakes. 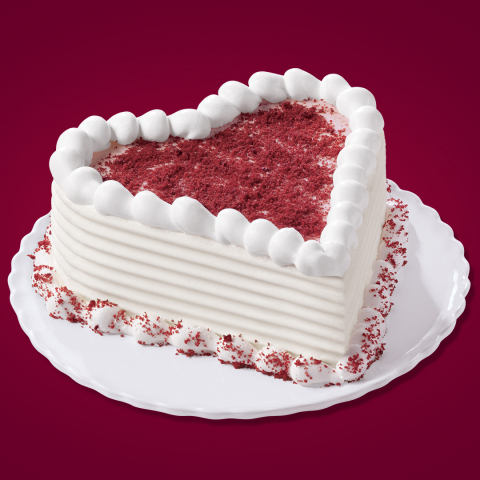 Fans can order the Red Velvet Blizzard Cupid Cake at DQCakes.com or by visiting or calling a participating DQ store or DQ Grill & Chill® restaurant. The DQ Red Velvet Spoon Case comes in a traditional jewelry box, covered in red velvet fabric that opens to reveal the iconic DQ Red Spoon resting on a white satiny pillow. It’s an unexpected gift that’s perfect for sharing the DQ system’s Red Velvet Blizzard Cupid Cake or tasting the Singles Blizzard Treat. The DQ Red Velvet Spoon Case is $4.99 plus shipping with all net proceeds for every spoon case sold online contributed to Children’s Miracle Network Hospitals, the DQ system’s cause-marketing partner. Fans can order the DQ Red Velvet Spoon Case at DQCollectibles.com while supplies last. DQ fans looking to heat up the Valentine’s Day season can enjoy their Singles Blizzard Treat or Red Velvet Blizzard® Cupid Cake alongside a hot DQ Bakes!™ Sandwich, offered for $4.79 throughout the month of February. Single or coupled fans can connect with the brand using #BreaktheCliche and #LOVEmyDQ on Twitter at twitter.com/dairyqueen and on Facebook at facebook.com/dairyqueen. For more information about the Dairy Queen system, visit DairyQueen.com. 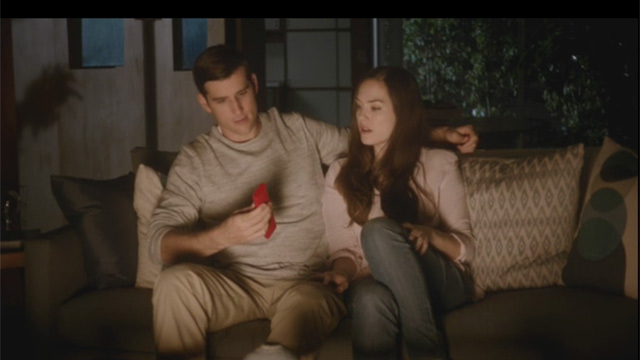 *Dairy Queen, in conjunction with Toluna Research, commissioned a survey of 1,200 nationally representative U.S. adults, ages 21-54; 582 singles and 618 in a relationship or married. Survey conducted between December 29 and January 5, 2016, with a +/-2.8% margin of error. International Dairy Queen, Inc. (IDQ), based in Minneapolis, Minn., is the parent company of American Dairy Queen Corporation (ADQ). Through its subsidiaries, IDQ develops, licenses and services a system of more than 6,700 locations in the United States, Canada and 27 other countries. IDQ is a subsidiary of Berkshire Hathaway Inc. (Berkshire), which is led by Warren Buffett, the legendary investor and CEO of Berkshire. For more information, visit DairyQueen.com.